The latest figures on out-of-school-children are disappointing, showing progress that is – at best – painfully slow. Despite every promise and declaration, and all the genuine efforts made to date, there are still around 262 million – or one out of every five – children, adolescents and youth between the ages of 6-17 out of school. That figure rises to a shocking one in three children out of school in the world’s poorest countries. What’s worse is that new data from the UNESCO Institute for Statistics ( UIS) show that progress has stalled, with the rates and the numbers remaining more or less static for years. This is not good enough. Every child out of the classroom represents wasted potential and lost opportunities, despite the global commitment to achieve Sustainable Development Goal 4 (SDG 4 ) – a quality primary and secondary education for every child and adolescent – by 2030. The world has promised to get serious about this issue, and governments gathered at the UN General Assembly in New York this week have every opportunity to do just that. They now have the latest data at their fingertips, so they cannot ignore the problem, or side-step the urgent need to act. The latest figures are part of the annual data release of the UIS on progress towards SDG 4, covering 32 global and thematic indicators. The UIS has just updated its global education database for the school year ending in 2017, which includes historical time series, regional averages and indicators on a range of key policy issues related to school access, participation and completion by education level, learning outcomes, equity, teachers and education financing. The picture is alarming. While many countries have made impressive progress on removing the barriers to education over the years, 64 million children of primary school age (about 6 to 11 years) are still out of school, as well as 61 million adolescents of lower secondary age (12 to 14 years) and another 138 million youth of upper secondary age (or one in three between the ages of 15 and 17). This is where we see a real bulge in the education gap, with youth four times more likely to be out of school than children of primary age, and more than twice as likely to be out of school as those of lower secondary age – a bulge that has not narrowed over the past year. Yet again, sub-Saharan Africa has the highest numbers of out-of-school children and youth. The region still accounts for more than half (34 million) of the 64 million out-of-school children of primary age. Southern Asia has the second highest number of out-of-school children, with 12 million. Girls still face barriers to education in most regions, and particularly in sub-Saharan Africa, where girls of every age are more likely to be excluded from education than boys. For every 100 boys of primary age out of school, 121 girls are denied the right to education. The denial of education continues to be shaped by wealth, with serious and continuing gaps between out-of-school rates in the world’s richest and poorest countries. These gaps begin to appear at primary level, with almost every child in primary school across the world’s richest countries, falling to 80% in the poorest countries. And the gaps widen with age: 60% of youth of upper-secondary age are not in school in the poorest countries, compared to just 6% in the world’s wealthiest countries. At the same time, there are persistent issues on learning outcomes, with one in every six children and adolescents (most of them in the classroom) failing to reach minimum proficiency levels in reading or mathematics. Lack of access and poor learning outcomes work in combination to keep children out of school. So, as well as ensuring that every child has access to a school, there is a pressing need to ensure that education delivers for every child, backed by the best possible data on learning outcomes. And here there is good news: the data are coming onstream, as work continues through the Global Alliance to Monitor Learning (GAML), which will meet next month in Hamburg. And in November, countries, donors and partners of the Technical Cooperation Group (TCG ) will meet in Mexico City to continue its scrutiny of the SDG 4 indicators and their reporting status. The UIS is working constantly to improve the accuracy of the data. For example, current estimates of the number of out-of-school children include all children of primary age who are not enrolled in primary school. In some countries, however, parents can choose to keep their children in pre-primary education for an extra year or two and these children are currently counted as out of school. While this is probably an issue for the more advanced economies with strong pre-primary systems, the UIS is investigating the impact on the data and possible methodological changes in an upcoming analytical paper to be released with the Global Education Monitoring Report. The alarm has been raised repeatedly, with every new data release on out-of-school children in recent years re-confirming the lack of momentum. Unless we get serious in the pursuit of this readily achievable goal, there is a real danger that the world will fail to deliver on one of its most fundamental promises to provide universal primary and secondary education in just 12 years from now. It would be tragic if that deadline comes and goes with new generations of children missing out on getting an education. 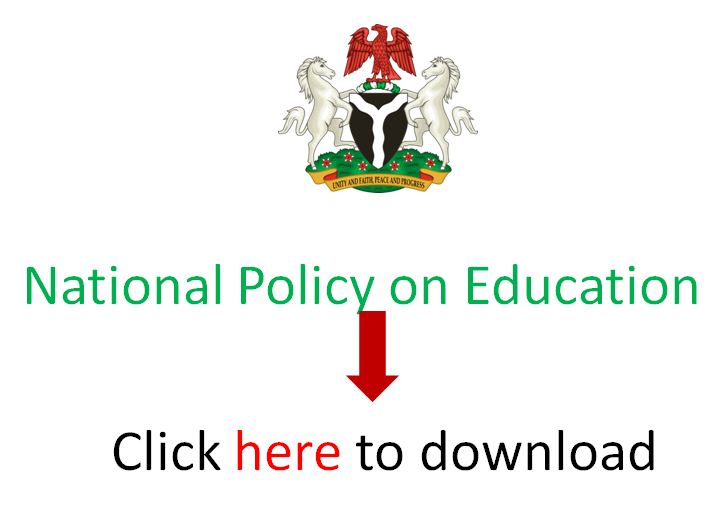 Previous articleIs the shambolic state of Nigeria’s education a consequence of a dearth of policies?